Reading: The Powder Room: The Untold Story Of Indian Fashion by Shefalee Vasudev. I am a fashion junkie. So when I heard that the founding editor of Marie Claire India was out with her first book, and that too on Indian fashion, I just had to buy it. I started it two days ago and it has been quite unputdownable since. Shefalee has interviewed the who’s who of India’s designers, fashion journalists and models… and the people we don’t hear about- the craftsmen and sales girls at luxury outlets among others. It presents a very interesting picture- a beneath-the-gloss look at the way the industry functions. It has been brilliantly researched, with a maze of interviews and voices. But she tells it wonderfully, so it does not become a tedious read. Watching: The Spiral Staircase directed by Robert Siodmak. As I have mentioned earlier, I am a big Hitchcock fan, and I love the film noir genre. I absolutely loved this! The film is a psychological thriller featuring a serial killer on the loose- a killer who goes after women with disabilities. The heroine is a mute woman who works as a caretaker in a wealthy old woman’s home. A dark, sprawling mansion, a stormy night, a whodunnit…what more could you want? And this film spooks the old-fashioned way…silences, dark spaces, eerie hallways and low angles. Worth a watch if you appreciate noir. Listening to: Nantes by Beirut. The tune is melancholy and uplifting at the same time! And who doesn’t like an accordion? Addicted to: The daily Google games. So much fun! And such a great way to waste time! 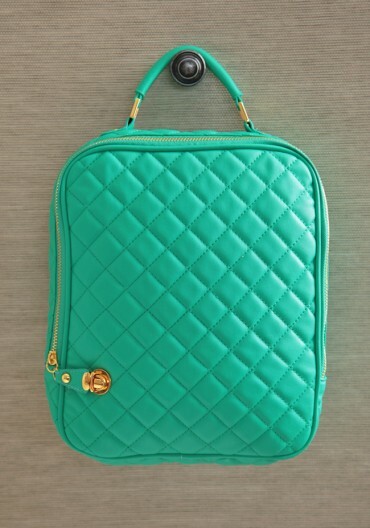 Loving: This teal quilted iPad case from Ruche. Such a pretty and feminine way to carry around your tablet! « What I Ate Wednesday: Lotsa Chicken. Scary movies and I don’t mix well…this may be a product of being held up at gunpoint a while back? Not sure. Anyway, I admire your braveness! OMG!! Was this in LA? That is terrible. It must have been traumatic!! They do ship internationally, but at a price, of course. If only everyone shipped for free! Oh yes Plath can be quite depressing…but her words really draw you in and you keep reading the lines over and over. Bell Jar was my first Plath book and my favourite. That definitely sounds like a film to watch on a dark and blustery night under the covers! Love that case. i’m on a mission to find an iPhone case I actually like after dropping my phone for the gazillionth time! Oh yeah!! WIth some tea or cocoa. And as regards phone dropping- I am the champion. And now my son drops it for me, in case I don’t do it enough already. Aint it? Have a nice weekend Chunklet! Thanks Uru! I hope you are enjoying your weekend. The i Pad case is adorable! Aint it? So many things I love but cannot buy. Oh well. If only international shipping was free!! Thanks so much Sawsan!! It feels so nice when someone likes a post that’s not from the kitchen…like you said, a little bit more me! By the way my next project is your cracker recipe.